Is Discussion About Concussions in Youth Soccer Being “Gagged” by Officials at the Highest Level of the Sport? A recent story out of Louisville, Ky., is that US Youth Soccer is trying to “gag” its state officials from having public conversations about concussions in their sport. US Youth Soccer is the largest member of the United States Soccer Federation, the governing body for soccer in the United States, and has 3 million registered players between ages five and 19. Unfortunately, leaders of US Youth Soccer have declined to discuss why the organization issued a memo encouraging soccer leaders not to talk to the media both generally and specifically concerning upcoming concussion stories. However, a statement on their website says they are not trying to ‘muzzle’ their membership but instead to create one singular communication channel to avoid inaccurate or conflicting information. The president of the Kentucky Youth Soccer Association President said the request came from the United States Soccer Federation, their parent organization, and was sent out as a precaution because of the pending lawsuit filed in California that seeks only to change playing rules rather than monetary damages. 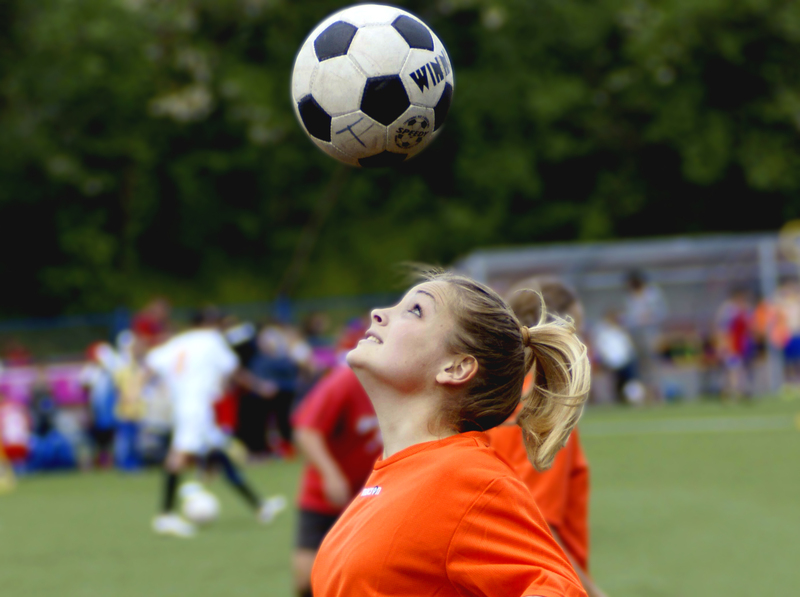 Like many sports today, soccer administrators at all levels of the sport, including youth, high school, college, Olympic and pro, are experiencing pressure from parents, athletes, referees, and the community to address the issue of concussions. Over the past year or so, soccer officials have been struggling with rule changes such as whether or not to let players head the ball under the age of 14. Two of the top proponents of avoiding ball heading at a young age include former U.S. international soccer star and World Cup champion Brandi Chastain and Dr. Robert Cantu, a leading expert on head trauma in sports and a clinical professor of neurosurgery at Boston University School of Medicine. A number of studies have shown that soccer players have developed CTE (chronic traumatic encephalopathy) and experience cognitive changes from frequent heading of the ball. The damage occurs, not as a result of a single concussive injury (although these injuries also occur in soccer), but as a number of cumulative hits in which the brain moves. These hits are called subconcussive trauma, and while scientists don’t have a handle on the defined threshold before injury appears, there is clear evidence in their research that heading the ball over time produces structural changes which can be observed in neuroimaging. As soccer administrators in the United States continue to formulate rule changes to protect our children and protect the integrity of the game, parents can and should continue to be their child’s best advocate with regards to safety. 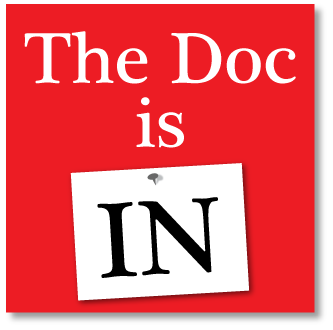 have their children get baseline neurocognitive testing prior to the start of the sports season so that clinicians can have a better sense of a change in their children’s cognitive abilities in the event of a head trauma. A recent Fox Sports article discusses the youth concussion laws that have passed in all 50 states and the District of Columbia, but it also highlights some key elements that were missed. 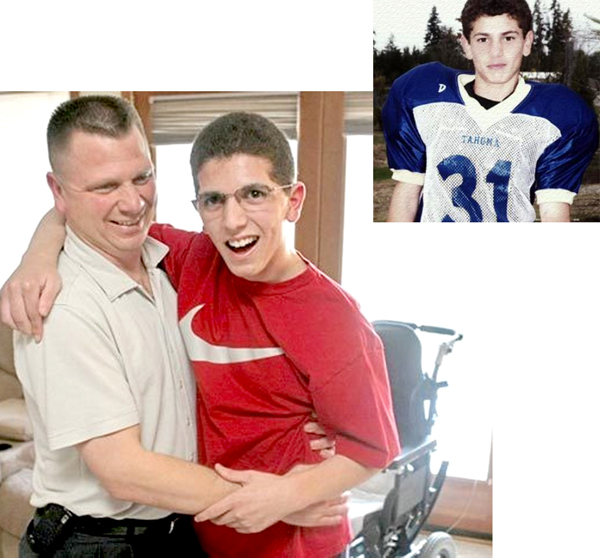 Over the past five years, each state has modeled their laws after the State of Washington law in 2009, also known as “The Zackery Lystedt Law” after a high school athlete who suffered a life-changing concussion (pictured below, pre-injury and today, with his father). This is pretty basic. The science and medical reasons for asking a child or athlete to leave a game or practice when a concussion is suspected is in place so a second and potentially more dangerous concussion does not occur. As of today’s writing, neither Illinois nor Wyoming requires the removal of an athlete from play in such a scenario. Arizona and South Carolina allow an athlete to return to play the same day if cleared by a physician. When a child is suspected of having a concussion, it is a good idea to at least wait 24 to 48 hours after the injury to ensure that symptoms do not develop. 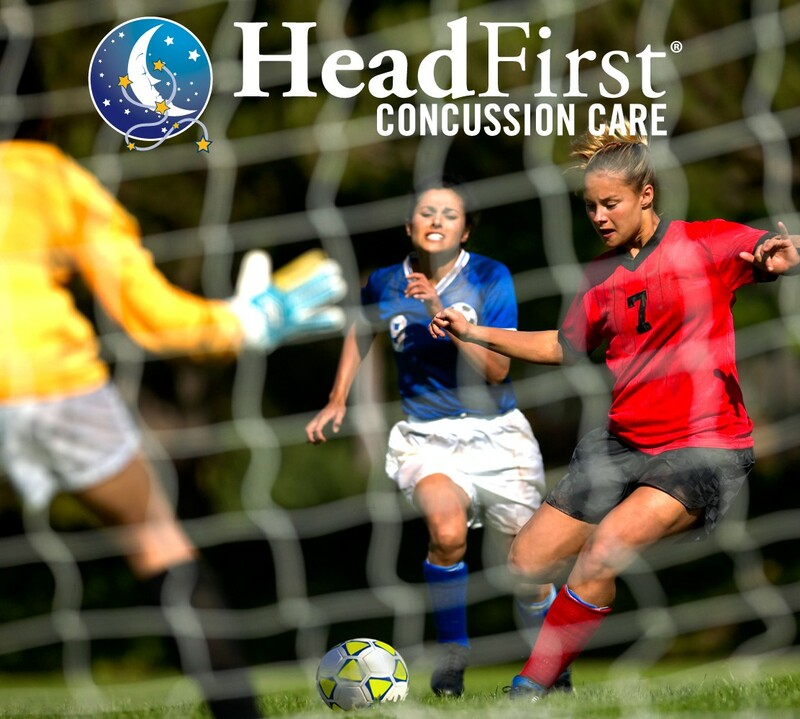 Here at HeadFirst, as many as 40% of our patients develop symptoms one to two days after their injury. Fortunately, this is not as opposed as it was just three or four years ago. Coaches now realize the importance of receiving education about how to evaluate and treat a head injury. New York law requires not only coaches but also nurses, athletic trainers, and teachers to receive training on concussion and concussion management. But New York is the exception and there are many states that don’t require education about concussion. Researchers and scientists also still need to do much in this area. Studies have not been completed on what coaches and athletic trainers know prior to training and what type of training is effective. This is quite a basic component of the law which requires student athletes and parents to sign an informed consent stating they understand the dangers of the sport and that a concussion or traumatic brain injury is one of the risks involved in the sport. Only 30 states have this element as part of their laws requiring clearance by a trained concussion healthcare provider prior to injured athletes’ return to play. Many laws and training programs also do not specify what training a concussion specialist needs or requires. Even though these elements are a good first step, they’re still not enough to protect our children. A carefully designed return-to-learn plan is just as important in concussion recovery since academic demands can slow brain healing. Unfortunately, only two states—Nebraska and Virginia—have return-to-learn elements within their concussion guidelines. 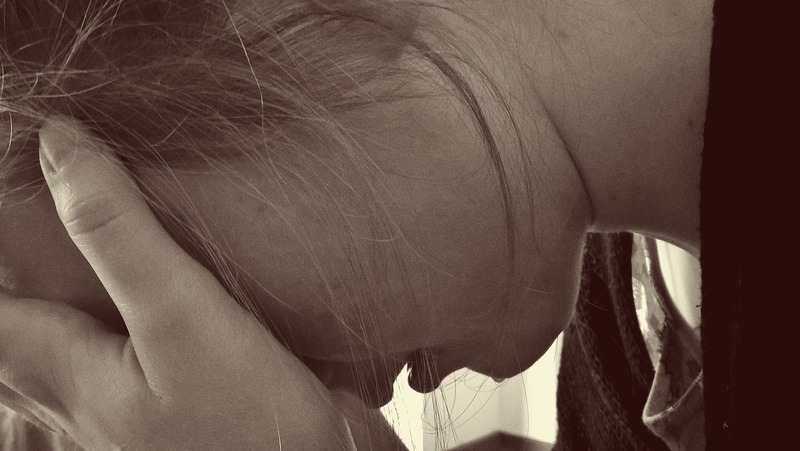 These procedures require a school to be notified if a student has sustained a concussion and then to give that student accommodations due to the injury. Some states have even made unsuccessful attempts to add supplementary requirements to their concussion laws. Oklahoma tried to add a section to their law that would mandate suspensions and punishments on coaches and athletic trainers who didn’t follow concussion guidelines. Massachusetts attempted to add required neurocognitive baseline testing for all high school students. And, Maryland tried to add a requirement of helmet sensors on high schoolers’ helmets before basic scientific research had been completed on the sensors or the meaning of a positive or negative sensor result. A number research studies continue to suggest the negative effects of alcohol (and other recreational drug use) after brain injury. Alcohol is a neurotoxin — meaning alcohol kills brain cells — exacerbating the effects of a concussion. There is no recommended safe amount of alcohol or recreational drug use after a concussion. Even moderate amounts of alcohol for people with a concussion have been associated with increased deficits in memory, attention and balance. Additionally, heavy pre-injury alcohol consumption is associated with poorer health outcomes and substance abuse post-injury. Many concussion patients report they are more sensitive to the effects of alcohol after injury. Even a small amount of alcohol after a concussion can impair judgment and increase the risk of a fall (and subsequent head injury).